The time schedule is adjustable to fit your needs. 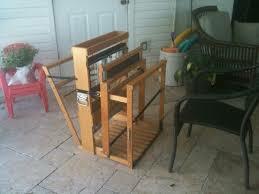 Norwood cherry 4 Harness folding floor loom with 50” of weaving width and sectional beam: $1700 obo. Accessories included are a matching electric bobbin winder, lease sticks and 3 reeds, all from Norwood. This loom on its own sells brand new from McGarr Norwood Looms for $3500. I can accept cash or a credit card by my PayPal Here account. 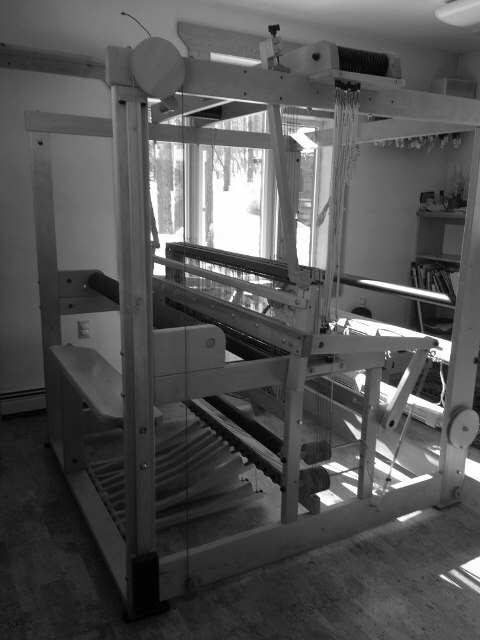 a 45" tapastry loom & a 45" nilus 8 sh floor loom. I will accept reasonable offers. In Anchorage, please contact Jeanie at 907-632-4451 if you are interested. We can figure out how to get it to Fairbanks. for easy folding and stay-put weaving. It's storage size is 44" high, 33" wide, 18" deep. It will weave a 26" piece. 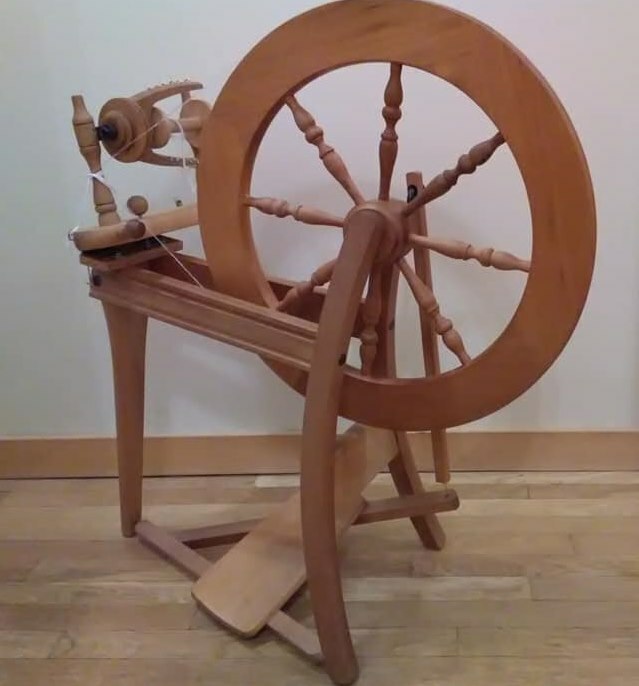 clear finish, single treadle, bought new in 2007.
springs and brake band replaced. Used gently. Like new condition. Jumbo flyer bearing reducer set (value $250). 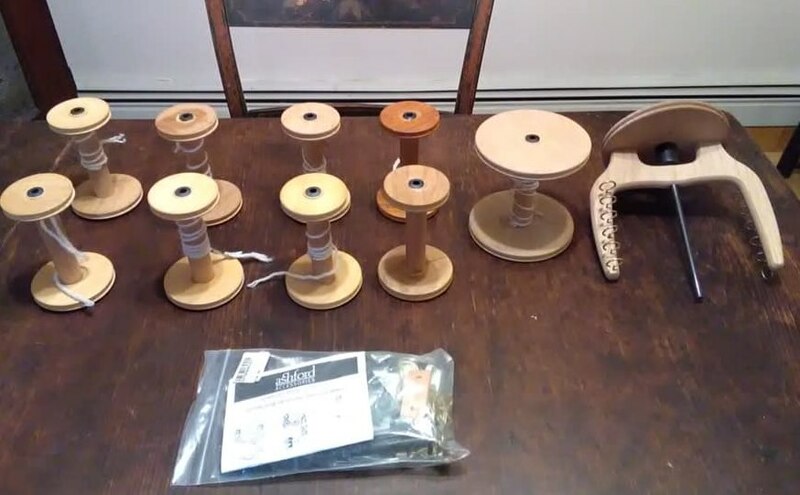 (including a lazy kate and four bobbins). The price is $625 for everything. 20 yards (I think), no longer made, perfect condition. This can be taken apart and mailed with Schacht Assembly Instructions pdf. $125 PLUS actual shipping costs. Email if interested, thank you! Warping yarns, reeds, shuttles and more. Call Carol Secor 479-6574 for pricing. A maple tapestry/rug loom for sale. Built in 1983 by Crisp Woodworking Concerns. Lace pillow looking for a good home. 20 Inches across and stuffed with wool, lightly used, $50. Call Gail Mayo, 479-2954 or mayogail@gmail.com.